So, one of the perks of my internship is that I get to try out some incredible products and then spread the love to you all. These are just two of the products my family wish I'd stop raving on about, so I thought I'd channel my enthusiasm through you guys! 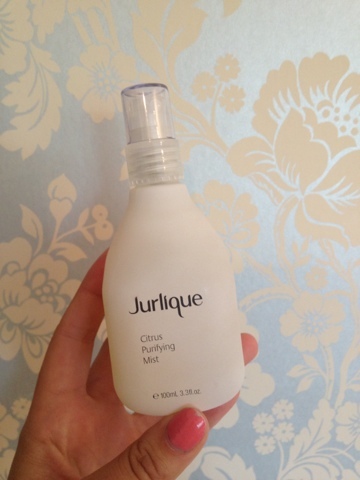 Firstly, everyone and their mother's have heard about Jurlique's Rosewater Mist, which is absolutely divine, but in these Summer months I'm enjoying the zesty citrus scent instead. No, you won't end up smelling like a freshly cleaned bathroom, but rather someone who reminds everyone of their favourite Mediterranean/Caribbean holiday. This product is amazing, and will be permanently attached to me on my travels this Summer. It instantly refreshes and cools me down, whilst simultaneously hydrating and toning! Furthermore, it's absolutely perfect if you're anything like me and suffer from oily skin texture. What an absolute win. And absolute necessity in the wonderful, yet insanely stuffy and sweltering heat we are having in London at the moment! 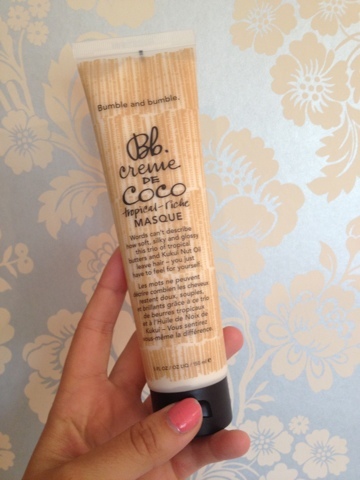 Secondly, my next big love is Bumble & bumble's Creme De Coco Masque. So, I'm an absolute Bumble victim, I adore anything they produce, but this one...WOW. I've not got the greatest hair in the world, and we've gone through many dramas together, so I have to be careful what I do to it. This bad boy does exactly what it says and more. Again, words cannot describe, but I felt like I'd just been to the hairdressers after using this. I left it on for merely ten minutes and felt like I'd grown a new batch of silky smooth, delicious smelling and wonderfully refined hair! PLEASE, I beg of you if you love to pamper yourself and your hair, try it out. And check out the other Bumble products, I'll be giving some reviews of more again during this week. So many products, so little time! All products are available online, and Bumble are now at selected Boots stores, so go and treat yourself!